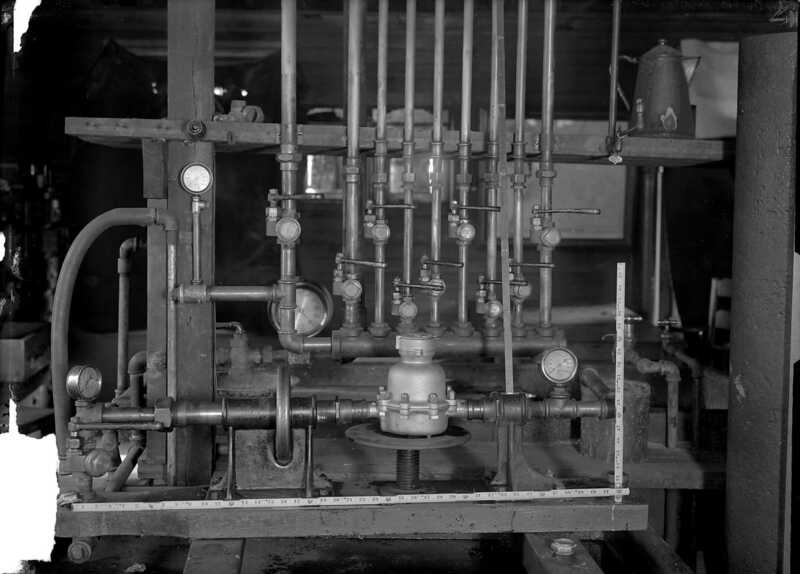 View of an absorption test apparatus at the City of Pittsburgh Meter Shop. Testing-machines--Pennsylvania--Pittsburgh. ; Pittsburgh (Pa.). Bureau of Water. Meter Shop. ; Strip District (Pittsburgh, Pa.).